Green fees apply to all non-members and visitors, with special rates for members’ guests. Members have unlimited access to the Dye-designed championship course (Academy members exempt). An understanding of golf etiquette, golf handicap or proven ability and correct dress code is essential for all members and visitors. Winter rates on green fees between 1st of November until 31st of March 2019. **Junior players must have proven golf experience and must be accompanied by an adult at all times. *Limited tee times on offer. Preference will be offered to members, members’ guests, and first-time visitor players. Each green fee entitles the player to a bag of driving range balls prior to the tee time. Different charges apply for visitors, members, and members’ guests. At the Academy driving, range members receive unlimited use of balls and clubs, while members’ guests receive one complimentary bag of balls plus complimentary club. 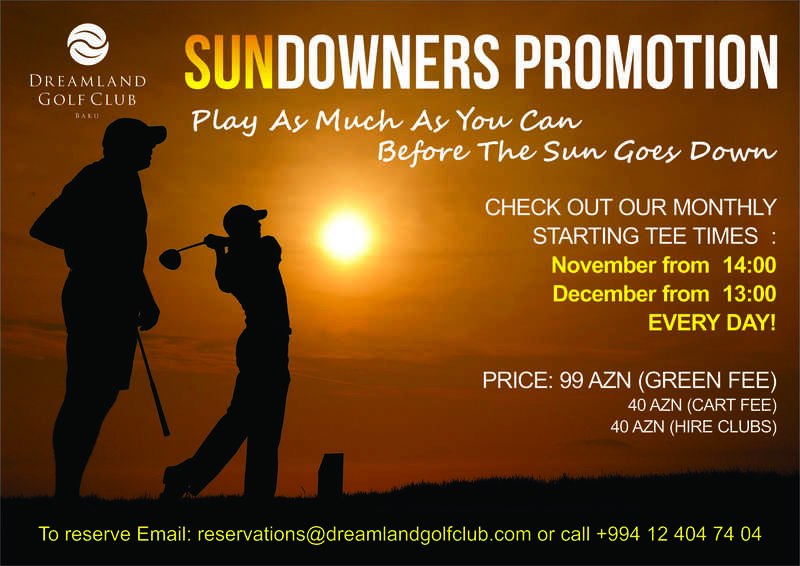 ***Sundowners are available everyday starting 14:00 – the chance to come and play as many holes as you can before sunset. 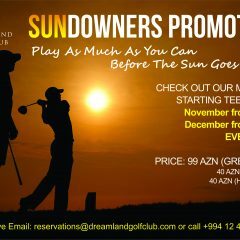 Check out our Daily Sundowners Promotion.